hey yall im new here, but anyway im loving my new 12's but if i turn my volume up past half way my whole hatch vibrates, the hatch door vibrates the glass everything does except for the license plate (used a old sock to stop it vibrating) does anyone have any tips to stop this besides turning down the volume? dynmat everything, put carpet insulation between the panels. dynmat is pretty cheap to get im guessing? The original stuff is fairly cheap but the Xtreme is much better (though expensive). Second Skin's Damplifier Pro is a better value IMO. 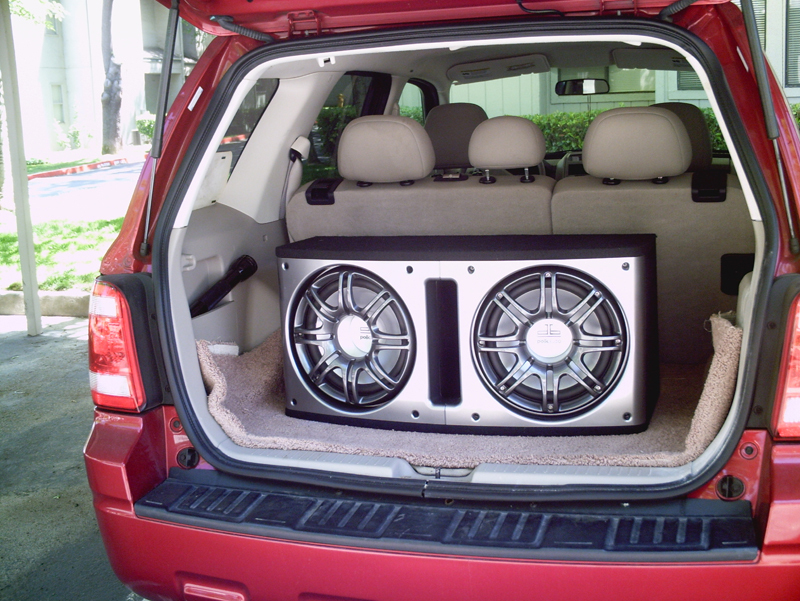 heres my new subs. im thinkin about gettin 2 10s and maybe putting them on top of those... or is that over kill? i got them for cheap too 179 dollars on sale then they rung them up n they went down to 142 dollars. so i was pretty excited. i never used dynamat before can you stick that over windows or no? yea, same problem with the blazer. Even leaning on the back glass doesn't keep it from rattling, although I will probably end up getting the dynamat license plate stuff to keep that from goin ****. same subs in my car, they sound awesome, congrats.